Grego’s childhood passion has always been music but could not pursue musical career in school for many reasons such as the political environment – apartheid – which isolated and denied many cultural groups from opportunities to excel in the fine arts. He was born to parents of Indian origin whose lineage is traced to the the indentured labourers who were brought to South Africa to work in the sugar cane fields. Inspite of prejudice and social adversity, Grego pursued his dream to inspire people through his music. He taught himself to play the guitar, piano, harmonica, saxophone and cello and is an accomplished gospel singer. 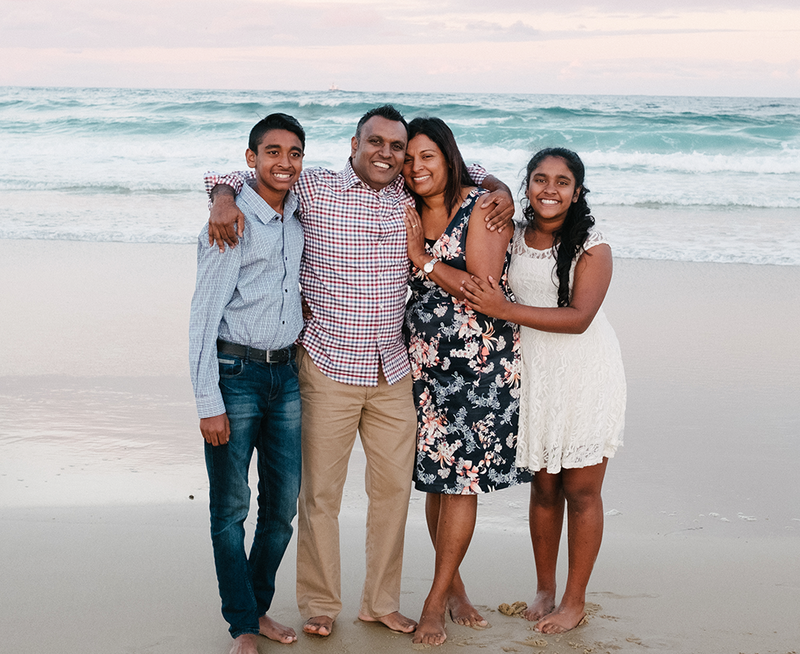 In 2007, together with his wife, Dr Jessica Maistry and two beautiful children, Jehiel and Abigail, they moved to Australia where Jessica was offered a position as a Medical Doctor at the John Hunter hospital. Grego’s spiritual experience and allegiance to Christ, as evident in his ministry of reconciliation and as an ordained minister of the Seventh-day Adventist Church is channeled through his music to bring hope and restoration which has endeared him to thousands across the globe. His childhood dream of producing an original music album was realised in Australia and he is grateful to the people of Australia for receiving him into their hearts and being blessed by his music. His resilience is an inspiration to all – to never give up on your dreams and to accept every obstacle as a stepping stone closer to the reality of your dreams. He believes that when you tune out the voices around you and listen to your heart – then nothing is impossible. Grego has earned the following degrees. BA Theology ( Andrews University). Masters in Leadership and Management ( Avondale College) and currently he’s pursuing an MPhil leading towards a PhD in Systematic Theology. Because God made humans in His image, we share a love and appreciation for music with all His created beings. In fact, music can touch and move us with a power that goes beyond words or other types of communication. At its purest and best, music lifts our beings into the very presence of God where angels and un-fallen beings worship Him in song. This sounds very much like a command to me. The Psalmist says to “Sing to Him” and “sing praise to Him” and apparently in these songs of praise we should “tell of all His wondrous works!” When we sing worship songs, we are not singing to ourselves but we “Sing to Him” and because He is most worthy we “sing praises to Him” that “tell of all His wondrous works.” We have so much to praise Him for and music is one of the most powerful ways to worship God and put all of our senses into doing what we were created for to glorify Him and that most certainly includes singing praises to Him. The ark of God represented God’s presence in ancient Israel and so when the ark was returned to Israel it was like the glory of God had returned and once more He was present with His people. It was not just David that was celebrating but “all Israel” celebrated “before God with all their might.” That means they took it to the max and gave it all they had. Should we not do the same? When we sing worship songs in church, it is too easy to just go through the motions but we must involve the emotions and the intellect as well. Here is an interesting verse where Paul associates “teaching and admonishing one another in psalms and hymns and spiritual songs” through “singing in [their] hearts to the Lord.” I like this because I believe that worship songs can teach us many things about the Lord and they admonish us as well but if worship songs are biblically or theologically sound, they most certainly can teach us about the things of God. How awesome this must have sounded to have the entire nation of Israel, millions of people, all singing to the Lord at the same time for His destroying the Egyptian army. Something that I believe is very important here is that they all sang “unto the Lord” and not just to entertain themselves. Certainly our worship songs can be entertaining but the purpose must be to praise God, to worship God and be sung directly to God. Some Christians might go to church to see what they can get out of it but maybe they should think about what they can put into worship services. Some churches actually don’t believe in using musical instruments, despite the dozens and dozens of Old Testament references that they were commanded to use but even in the New Testament we see that we are to make “melody in [our] hearts to the Lord.” The Greek used for “making melody” is “psallō” which literally means “to pluck, to cause to vibrate by touching,” or “to strike the cord” which is clearly referring to a musical instrument. This is what the word “psallō” was used for when the Greeks wrote about playing instruments. It’s also interesting that they were to speak to themselves and do it “in in psalms and hymns and spiritual songs” which again gives us the idea of learning about God in worship music. Music has always been a powerful vehicle that assisted learning. Psalm 40:3 “And he hath put a new song in my mouth, even praise unto our God: many shall see it, and fear, and shall trust in the LORD. Is the Psalmist saying that the Lord “put a new song in” his mouth meaning that God inspired it? I believe so because we already know that the Psalms are all inspired by God and the Psalms were used for worshiping God in being sung back to God with the accompaniment of musical instruments. In ancient Hebrew literature, the idea of singing and talking were closely related. Offering God praise by words and by songs is sometimes seen as one and the same and that may be why the Psalmist said to “Sing unto Him [and] talk of all His wondrous works.” We communicate what is in our hearts to God, not only with words but by song and that may be what the Psalmist is referring to here in this Psalm where they sing to God and talk about all of His wondrous works, all at the same time. My marriage is my sacred Trust! I am blessed to be married to the most amazing person in the world-Melanie and I by God’s grace endeavor to honor my sacred commitment! 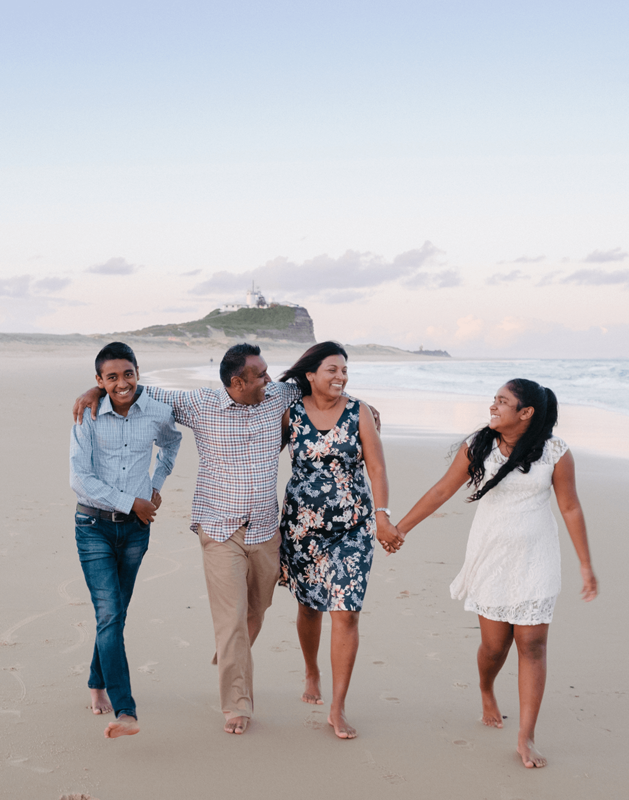 Recognising that the family is the building block for whatever solidarity there is in society it is my conviction that we continue to fight for the survival of families and wholesome relationships. God has blessed Mel and I with two beautiful, talented children- JJ and Abi, we treasure them immensely. For me raising up a family should be an adventure, not an anxious discipline in which everybody is constantly graded for performance.